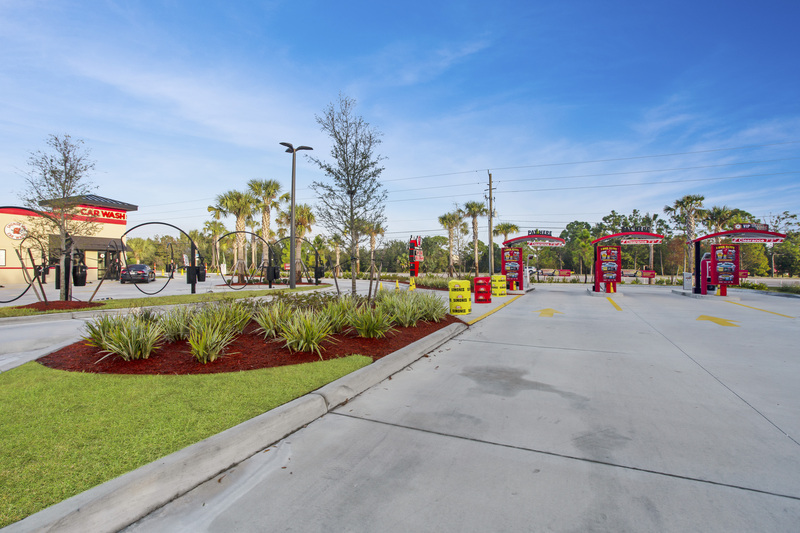 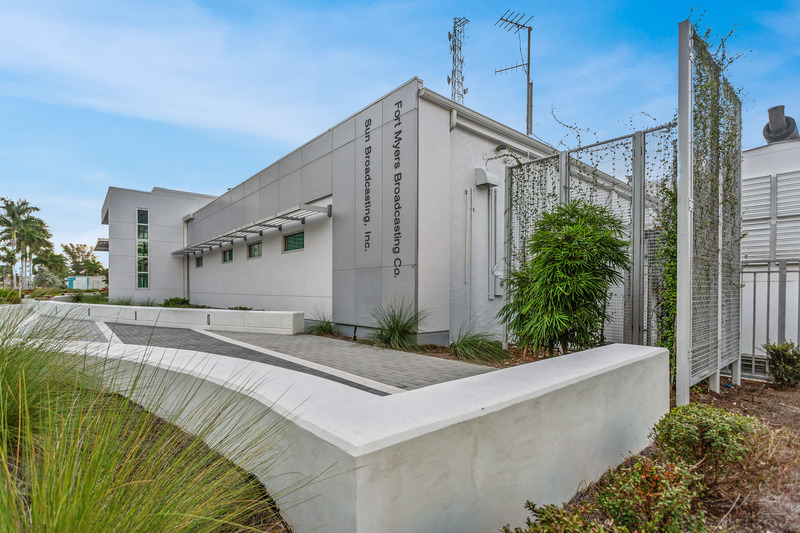 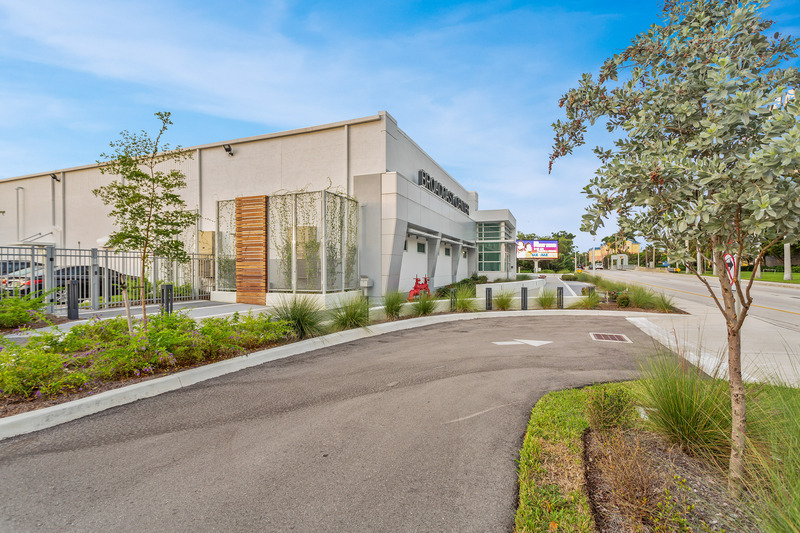 The Fort Myers Broadcast Center’s landscape project started as a simple-enough refreshing to the sites existing parking lot and drainage facilities to what would ultimately become a study in modern plaza design. 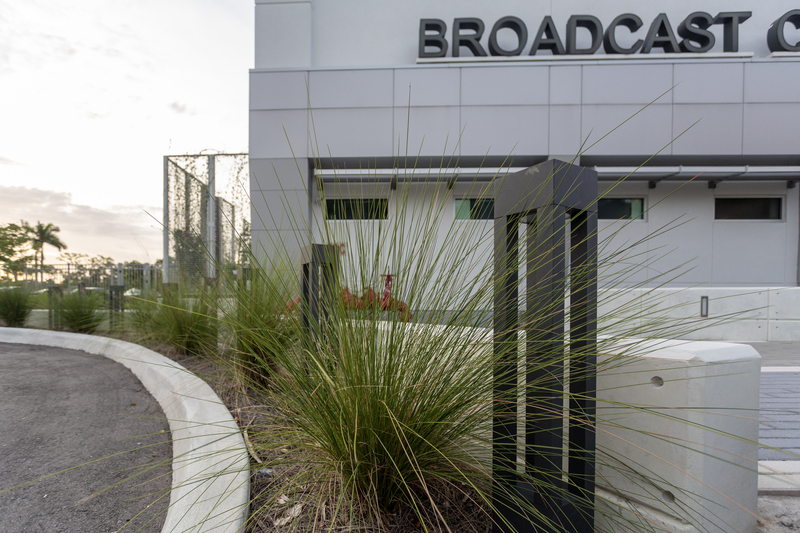 The elevated and underscored entry to the broadcasting center was completely redesigned to remove the existing steps and accessible ramp that were added after the abutting roadway was widened and elevated causing circulation issues. 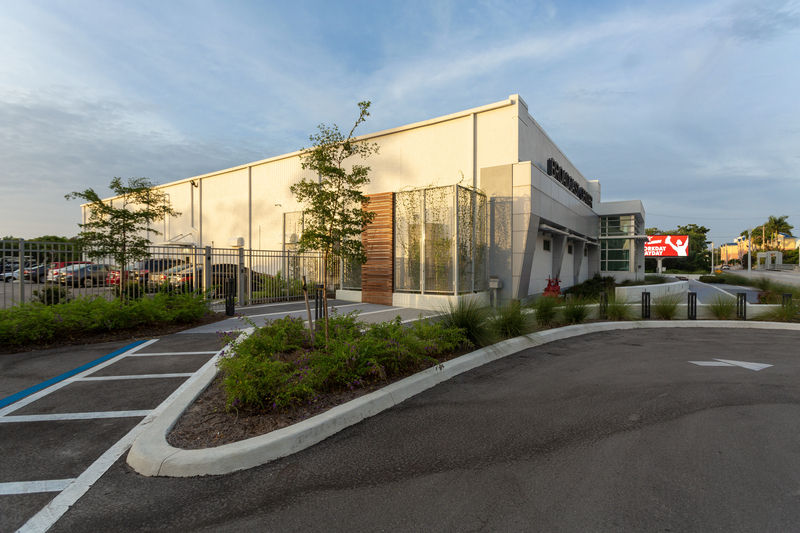 The entry makeover focused on clean lines and colors that complement the existing building façade. 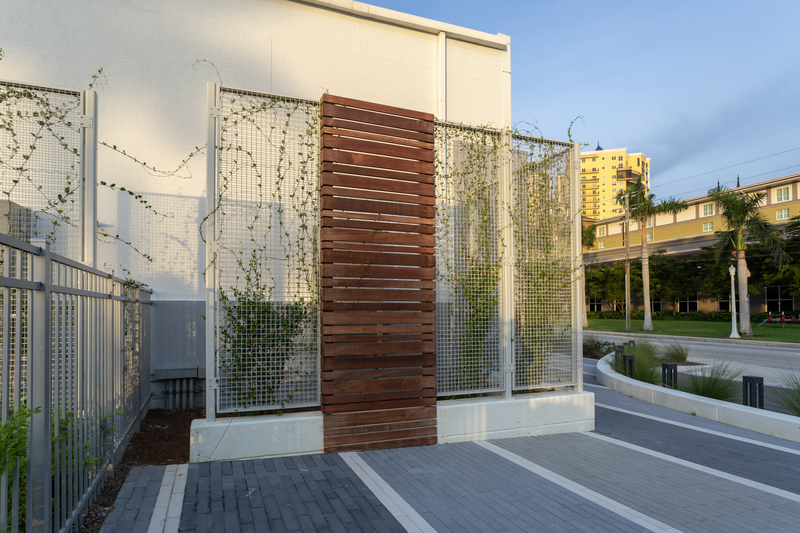 To further enhance the connection to the building’s interior designs, shapes, materials, and finishes that were used in the building’s interior design were incorporated into the exterior finishes of the plaza. 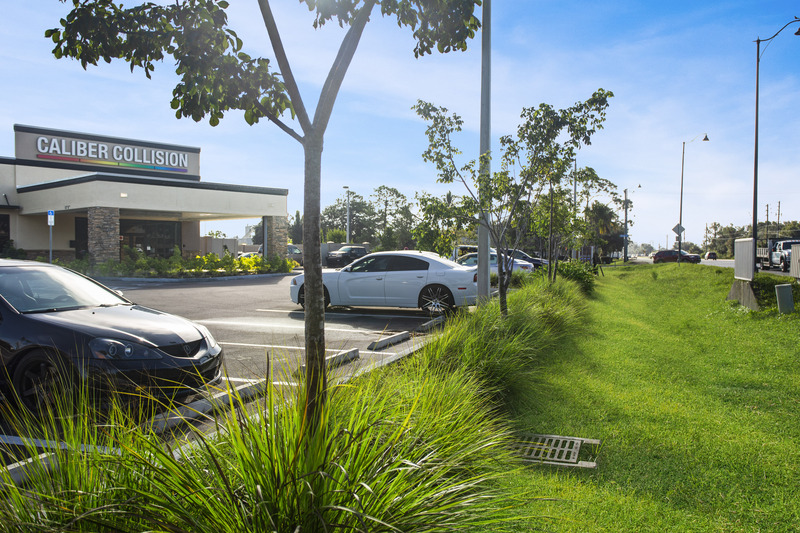 Accent lighting, pedestrian bollards, plank style pavers, vegetated greenscreens, and decorative concrete walls transformed the space into a welcoming, well-defined plaza that guides guests to the entry. 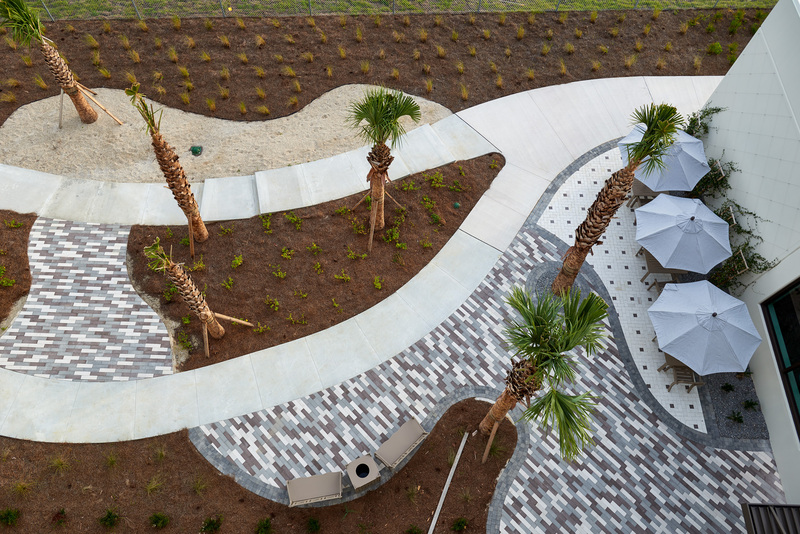 The most notable difference between the before and after condition of the site is a visibly uniform look that connects the exteriors to the physical structure of the building, which was constructed more than 50 years apart.